The President of the Pontifical Council for Inter-religious Dialogue died on Thursday afternoon aged 75. He had been suffering from Parkinson’s disease. 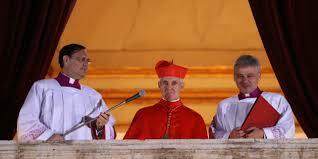 Created and proclaimed Cardinal by St. John Paul II in the Consistory of 21 October 2003, Cardinal Jean-Louis Tauran was known to the world for his tireless work to promote peace through inter-religious dialogue. He became a familiar figure also for having announced to the world the election of Pope Francis on 13 March 2013 from the Central Lodge of St. Peter’s Basilica. Tauran, who was currently President of the Pontifical Council for Inter-religious Dialogue and Camerlengo of the Holy Roman Church, died in the United States where he was receiving treatment for Parkinson’s disease which had afflicted him for many years. The Cardinal, who kept active throughout his illness, undertook an important journey to Saudi Arabia in April 2018 in the conviction that we are threatened “not by the clash of civilizations, but by the clash between ignorance and radicalism”. The future, he affirmed during that visit, “consists in education” and teaching people that Christians are not to be considered second-class citizens. In an interview last November following the attack on the Rawda Mosque in Sinai, which he described as “a new step towards the abyss”, he launched an appeal to all men and women of good will to continue to work for dialogue, peace and freedom. An appeal he reiterated last May in his Message to Muslims for Ramadan. In last October's message to the Hindu community entitled “Christians and Hindus: Going beyond tolerance” for the Deepavali holidays, Card. Tauran highlighted the challenge against intolerance, which, he continued to emphasize, is a cause of violence in many parts of the world. Addressing Buddhists in his message of good wishes for Vesakh last April, he urged them to work together against corruption for a culture of legality and transparency. Tauran was born on 5 April 1943 in Bordeaux, France. After completing his classical studies at the "Michel Montaigne" High School in Bordeaux, after two years in the diocesan Major Seminary he was sent to Rome as a student of the Pontifical French Seminary and the Pontifical Gregorian University, where he completed his theological and philosophical studies, obtaining a Licentiate in Philosophy and Theology. He was ordained a priest on 20 September 1969, and he exercised his priestly ministry as parish vicar of St. Eulalia in Bordeaux, while attending courses in Canon Law at the Catholic Institute of Toulouse. Called to Rome in 1973, he attended the Pontifical Ecclesiastical Academy, where the diplomatic staff of the Holy See is trained, and the Pontifical Gregorian University where he obtained a degree in Canon Law. He entered the diplomatic service of the Holy See in March 1975 and was assigned to the Apostolic Nunciature in the Dominican Republic, where he worked until 1979 until he was transferred to the Apostolic Nunciature in Lebanon. He stayed there until July 1983, when he was called to work at the Council of Public Affairs of the Church. From 1984 to 1988, he followed the work of the Conference for Security and Cooperation in Europe, participating in international events such as the 1984 Stockholm Conference on Disarmament, the 1985 Cultural Forum in Budapest, the 1986 Vienna Follow-up Conference. In 1988 he was appointed Under-Secretary of the Council for the Public Affairs of the Church. On 1 December 1990 he was elected titular Archbishop of Telepte and nominated Secretary of the Council for the Public Affairs of the Church which then took the name of Section for Relations with States of the Secretariat of State. He received his episcopal ordination on 6 January 1991 in the Vatican Basilica from Saint John Paul II. During his 13 years as head of the Section for Relations with States, he carried out many missions abroad and led the Holy See Delegation in numerous international conferences. John Paul II created and proclaimed him Cardinal in the Consistory of 21 October 2003, of the Title of S. Apollinare alle Terme Neroniane-Alessandrine (Deaconry elevated pro hac vice to presbyteral title on 12 June 2014). On 24 November 2003 he was appointed Archivist and Librarian of the Holy Roman Church. On 25 June 2007 Pope Benedict XVI appointed him President of the Pontifical Council for Interreligious Dialogue. On 26 June 2013 Pope Francis appointed him Member of the Pontifical Commission for the Referendum on the Institute for Religious Works.